I won’t lie – I’ve read way too many posts and books on what makes successful people who they are. Some of these ideas have worked for me, while others haven’t. 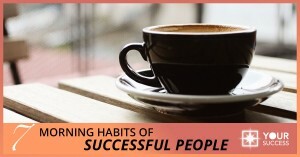 For example, I’ve found that many successful people have daily rituals they like to stick to. These may appear strange to us (Maya Angelou would only write in a hotel room; Leonardo da Vinci would take a 20-min nap every four hours), but to them, these rituals are more freeing than limiting. They also show that personal priorities are more important for these people. 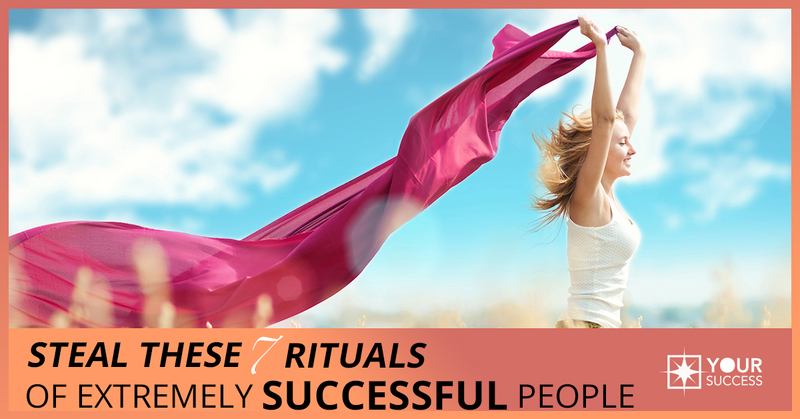 I’ve compiled a list of 7 easy-to-steal rituals of successful people from my readings. Read on and let me know your thoughts in the comments! You’ve probably heard this one a million times – keep a journal or write down your thoughts on a daily basis. And it doesn’t have to be anything fancy. You can get a simple notebook and go the traditional pen-and-paper way, or opt for something more tech-savvy such as Evernote. Oprah does it, so does Eminem. The idea is to record your thoughts, progress, goals. 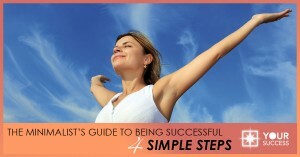 You can track your progress and create a roadmap of where you want to go from here. As you develop the habit of writing in your personal journal, you get to know yourself better and clarify your thoughts and feelings, thus engaging your right brain to explore new solutions. James Pennebaker, Psychologist and Researcher at the University of Texas, believes that regular journaling strengthens immune cells called T-lymphocytes. Journaling helps you come to terms with stressful events in your life and is therapeutic. Did you know that a majority of us are visual learners? That means your brain processes visual information much faster than other modalities. 90% of the information transmitted to the brain is visual. Visuals are processed 60,000 times faster than text in the brain. Make use of visuals as a constant reminder of your long-term goals. They will disrupt your pattern should you get stuck in the everyday “busyness”. I know someone who stick pictures of his kids on his desk to remind him of his “why” when the going gets tough. Here at TCI, we have positive visual reminders at every corner and wall. One example is the TCI Manifesto. Such visuals are constant positive re-enforcers of what we’re here to do and what we believe in. They also serve as a nice anchor for a productive, fun and growth-oriented environment. It’s a given. You learn the best when you stretch your comfort zone. We looked at the circle of comfort zone in this post. As you move toward the edge of your comfort zone, you convert problems into possibilities. 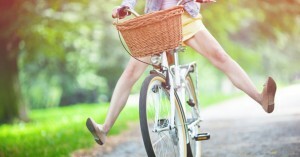 Having habits and sticking to routine is good – but that won’t stretch you if you’re tackling new goals. Yes, you’ll be uncomfortable and confused. Yes, it will be hard. But guess what? Saying YES to those new experiences challenges you. That’s how you grow. That’s how you hustle. The more time you spend in your discomfort zone, the faster you grow. “Yes” is the most powerful word in your dictionary. 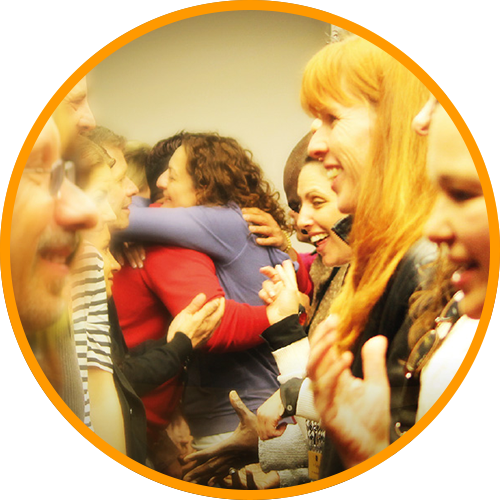 So the next time you’re invited to experience something totally outside your comfort zone, say yes. Take the scenic route to home today. Buy lunch from a different place and try a new cuisine. Because you have nothing to lose. Only gain. We all have our own quirks and personal statements. These idiosyncrasies give you that edge – they make you, you. I knew someone who’d dress immaculately. No matter what the occasion, he’d always have shiny shoes, nicely gelled hair and neatly-pressed shirt underneath a full suit. The cherry on the top was a contrast-coloured tie he’d experiment with every now and then. He wasn’t boring or “corporate”. He had elements of confidence, creativity and fun, all in one. That said, you don’t have to dress over the top to leave a mark. Steve Jobs owned 100 same sweaters designed by Issey Miyake. He’d wear one every day. Tiger woods will wear red during competitions. Perhaps you like to experiment with colour. You wear crazy socks. Or you carry yourself confidently even in track pants and sneakers. Whatever it is for you, find that edge – what’s your personal statement? And how do you do that? Let me explain with an example. One of my friends follows a daily ritual to drive his kids to school. Sure, he’d love to sleep in a bit more, he says, but for him those 15 minutes in car with the girls are a big deal. It’s a great start to his day. And that’s not all – the moment he walks through the front door of his house in the evenings, he will not answer any work calls or emails until 9 pm, which is when the girls go to bed. Talk about making time for family and friends instead of trying to find it! You’re the average of people you associate with the most. You cannot choose your family, but you can be choosy about your friends and people you hang out with the most. Some people enhance and nourish your life in small ways (that has a cumulative effect) whereas others drain your energies. So be very careful with whom you spend your time. Find nice, smart and driven people. Associate with open-minded people who are not afraid to explore personal growth, even if that means receiving critical feedback and taking it on board. So be sure to get in the company of people who value your presence, and vice versa. I saved the best for last. I can tell you from personal experience that working with a mentor will fast-track your progress manifold. Of course, you can rely on books, the Internet and other resources. But it can be hard to keep yourself motivated to learn from them in the first place. Did you find some great rituals of your own in the list above? What other rituals could make it to this list? How are you implementing them and what have been your results so far? 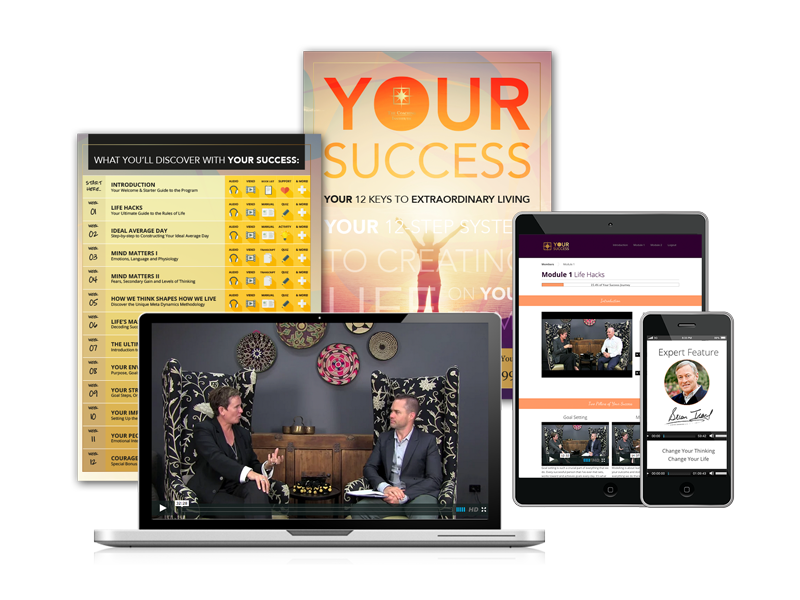 If you’re ready to model more excellence and success, join Sharon Pearson on a new 90-min Masterclass to Unlocking Your Extraordinary Self from the comfort of your home. Rituals and habits are the basis of our standards – and the quality of our standards determines the quality of our experience!! Love it, simple and so easy to use. You’re so on track with that Diego! Sometimes life is about taking risks, stepping beyond our usual boundaries & seeing what we are really capable of when we let go of all our fears. Hehe Teash! Well its all about finding out what really works for you. If something helps you out, then use it, but if you can find something more suitable & enjoyable, then stick with that! I can relate especially with #7. Finding the right mentors at the right time can fast-track your progress. I learned to build my first authority website this way. Most mentors also have more affordable online programs so there’s really no reason not to learn from them! This is great content！Just signed up for the Webinar!! Wanting to learn more! This is an amazing contribution. I love what you have shared. Thank you so much.